The God of the ancient days is still alive till today. 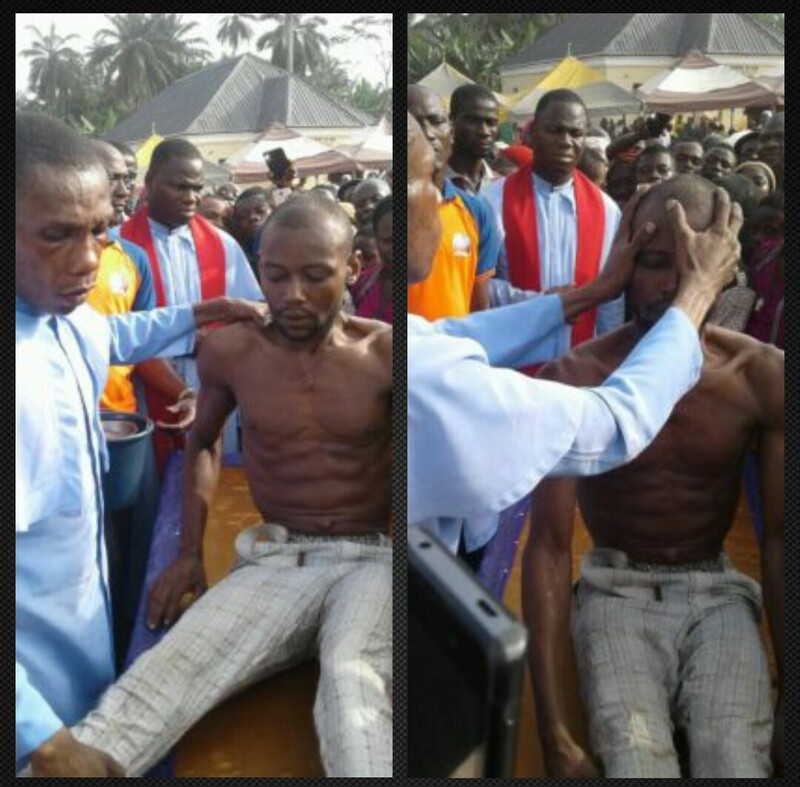 A viral report of a man who has been dead for 3 weeks, and was raised to life by the power of God through Rev. 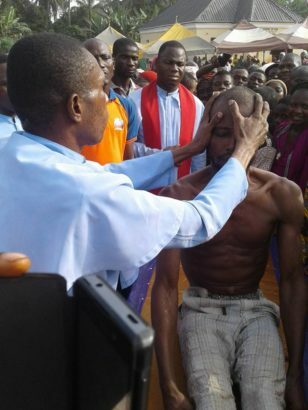 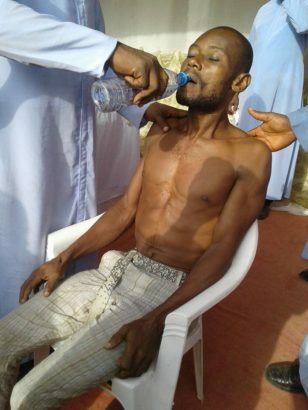 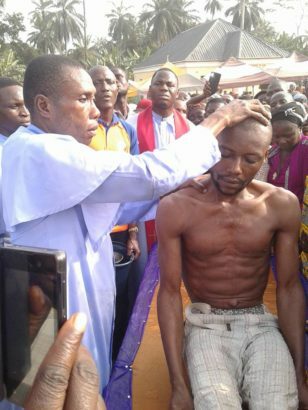 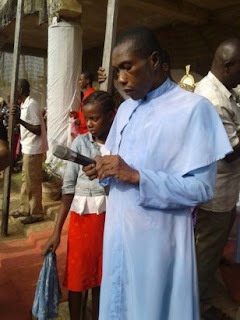 Father Chilaka in Imo State. 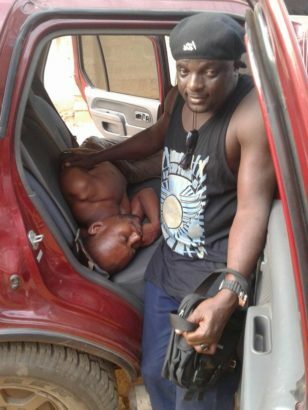 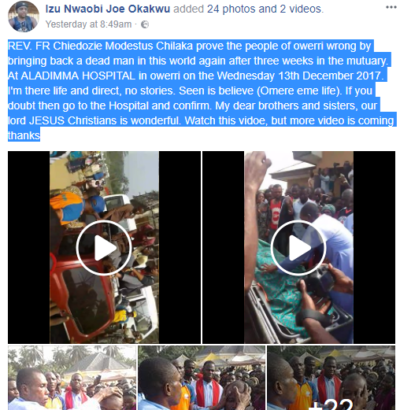 A facebook user identified Izu Nwaobi Joe Okakwu shared the story on his timeline. 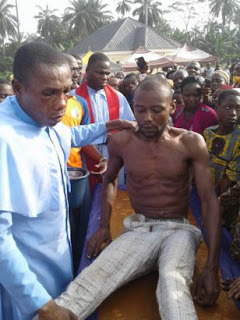 According to his story, the man's corpse was deposited at Aladinma Hospital, and he was a sure witness of the miracle, as he shared the photos and the video of the mystery.